clinching the Boys under 13 title. The Mid-America Region of the Irish Dance Teachers Association of America is considered by most to be North America's largest region, covering Indiana, Iowa, Illinois, Kansas, Kentucky, Michigan, Minnesota, Missouri, Nebraska, North Dakota, Ohio, South Dakota, Western Pennsylvania and Wisconsin. 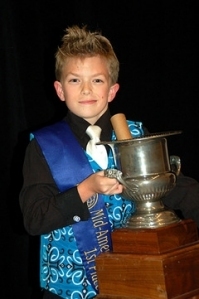 Each year, the Mid-America Regional Irish Dancing Championships are held over Thanksgiving weekend. This year, the Hyatt Regendy O'Hare in Rosemount, Illinois is the venue, with thousands of dancers, their teachers and families spending the holiday and long weekend together. The following is the first part of our Top 5 results for the Boys and Men's competitions. The Top 5 results for the Girls/Ladies competitions and all team results will be posted in a separate post here on Go Feis! The Irish Dance Blog. Congratulations to all who placed and their teachers and families from Feis America! 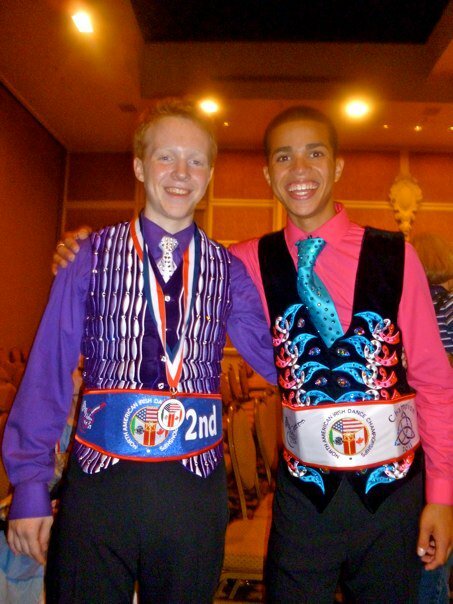 wearing 2011 North American Irish Dancing Championship belts. 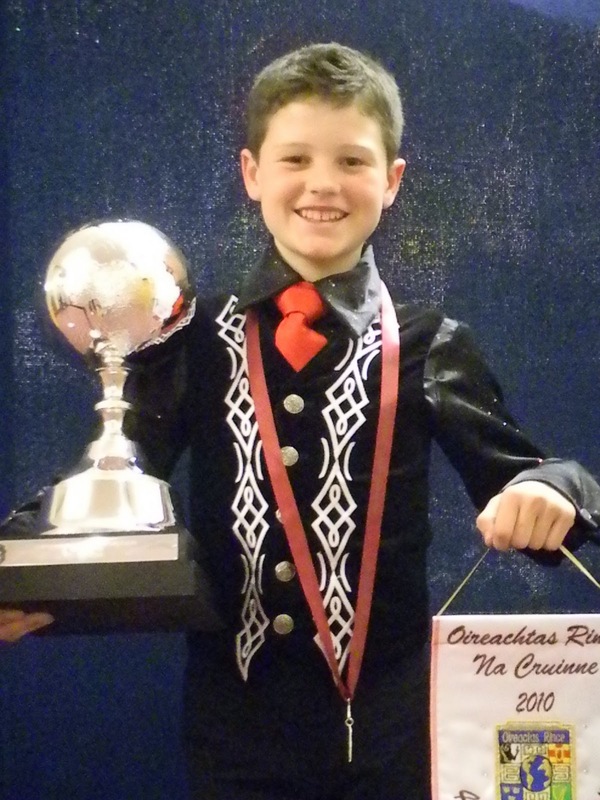 defends his regional title at Mid-America Oireachtas. Champion Peter Dziak - Trinity DEFENDING CHAMPION! Champion Ian Schwartz - Trinity DEFENDING CHAMPION! Note: Of all the regional championships, the Mid America Region is the most difficult to get results information in a timely manner. We rely here on message boards and friends who advise us, but please rest assured that any inaccuracies found in the days to come will be corrected here immediately. Feis America magazine is dedicated exclusively to North American Irish dancing and celebrates its dancers, teachers, performers and families bi-monthly with an acclaimed editorial platform and rich photojournalism. Subscribe today for your favorite Irish dancer, teacher or enthusiast - makes a great holiday gift!